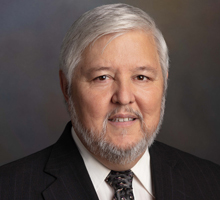 Richard Garza has spent 32 years in various technical positions, including Help Desk, Desktop, Server, and Network Support, Project Manager, and Technical Trainer. Most recently, he is a cyber-security consultant providing computer security training, vulnerability assessments, security audits, and penetration testing services to businesses. He holds a Master of Science in Information Management for Executives from the School of Information Studies Syracuse University, graduating with Phi Kappa Phi honors.Garza has achieved several Professional Certifications: CISSP from the International Standard for Information Security (ISC)2; CompTIA A+, CompTIA Network+ and CompTIA Security+ from Computing Technology Industry Association (CompTIA); Certified Ethical Hacker from EC Council; Web Development Professional and Web Security Professional from Certified Internet Webmasters; and a Certificate of Advanced Study in Information Security Management from the School of Information Studies at Syracuse University.